For Diggers and Collector’s of America’s Heritage. An hour long program every Monday Night at 9:00 PM eastern standard time. Join your hostsButch Holcombe and Jeff Lubbert as they explore our Nations Past. Learn more about Metal Detecting, Treasure hunting in all it’s forms, and the preservation of history. Learn from our callers, and expert show guest’s This is a call in show (678-439-1863) and you are encouraged to participate. Digging into archaeology law in the U.K. and U.S. In September 2009, David Booth, a park ranger in Stirling, Scotland, packed up his brand-new metal detector (“I practiced at home picking up nails and bits”), drove to a field, walked seven yards (six meters) from his parked car, and scored big. His first sweep with a metal detector yielded a spectacular find: four gold torques, or neck bands, from the first century B.C.—the most important hoard of Iron Age gold found in Scotland to date. Several days later, Stuart Campbell of the National Museum of Scotland, the man in charge of “treasure trove” finds, as they are known in the United Kingdom, arrived at his Edinburgh office, opened his email to find a message with the subject “gold jewelry” and thought, “Oh, no, not another Victorian watch chain.” Then he saw the images. Thanks to laws in England and Scotland that encourage artifact hunters to cooperate with archaeologists, Booth was paid the current market price for the cache, about $650,000, set by the queen’s and lord treasurer’s remembrancer (the British crown’s representative in Scotland). He split the sum with the landowner. In England, Wales, and Northern Ireland, the Treasure Act of 1996 defines gold or silver finds older than 300 years as treasure and claims them for the crown. Finds must be reported within 14 days. Scotland’s laws are broader: Treasure does not have to be gold or silver and can be less than 300 years old, but in both jurisdictions, a significant find will be offered to museums to bid on. Nearly 90 percent of archaeological artifacts in the U.K. are found by amateur treasure hunters with metal detectors. Michael Lewis, deputy head of portable antiquities and treasure at the British Museum in London, calls it “land fishing,” adding that the law encourages treasure hunters to adopt best practices in metal detecting, such as recording the location of finds. 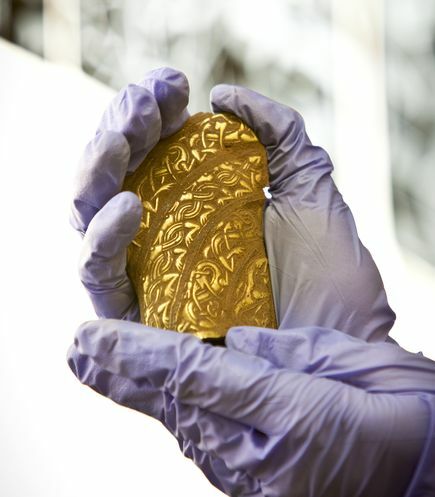 A related program, the Portable Antiquities Scheme, is a voluntary project, managed by the British Museum, to record archaeological objects—not necessarily treasure—found by members of the public. So far, the British Museum has documented 800,000 finds, everything from gold and silver artifacts to bits of pottery and iron. Taken in context and seen together, they give a picture of where and how people lived in the past. The relationship between archaeologists and metal detector hunters is, for the most part, downright amiable. 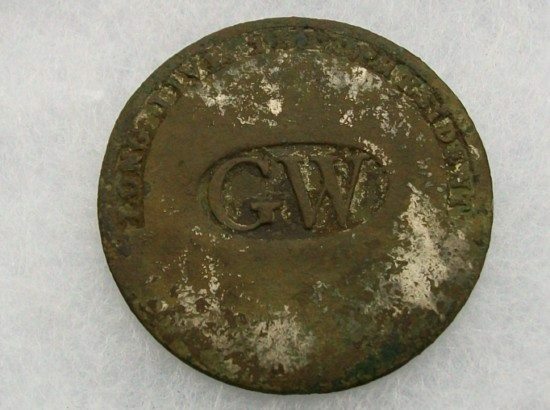 Each year, the British Museum reaches out to some 177 metal-detecting clubs and judges the year’s “best” find. How do laws in the United States stack up? Fred Limp, president of the Society for American Archaeology, summed it up: “Basically, except for materials on federal land, state law applies and, with some exceptions, objects are the property of the land owner.” There is no standard rule; it varies state to state. Federal laws are strict. “A stone tool is property of the federal government in perpetuity,” said Limp. “Its digging up is a violation of law and can be a felony.” Depending on the state, the same object found on private land may or may not have protection. In other words, “private landowners can dig up all the sites they want and sell on eBay,” said Tom Green, director of the Arkansas Archeological Survey. A notable exception is burial sites. Nearly all states have laws forbidding the digging up of burial sites (where most of the best material is found—”like the good, fancy pots,” explained Green). What about exporting the British scheme to the United States? “It wouldn’t work here,” said Chris Espenshade, a consulting archaeologist for Commonwealth Cultural Resources Group in Michigan. “It’s contrary to our culture.” It’s the mindset of “It’s my property and I’ll do what I want” and an American individualism that expresses itself in “no trespassing” signs. 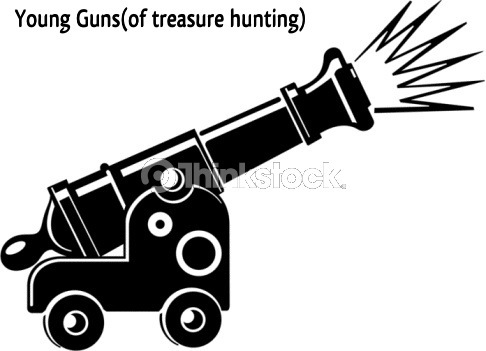 Still, he admitted, the compensation afforded by the United Kingdom’s laws mitigates the idea that a finder should give away a treasure and not get anything in return. And Booth, the finder of the Iron Age hoard in Scotland? “It was nice to pay off the Ford Focus,” he told a local newspaper. He’s still hunting. Due to the popularity of our Radio Broadcast, we have purchased the domain name and are now a .com. We have reached nearly 300 listeners each broadcast night with new guests, prize giveaways and more. Weekly prizes have exceeded $150 every week and we have many more coins, bottles and more to give out to the listeners. 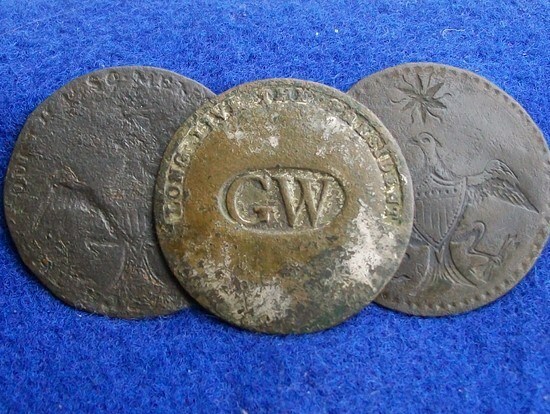 England….Kett’s Rebellion: ‘Hidden’ coin hoard declared treasure…. 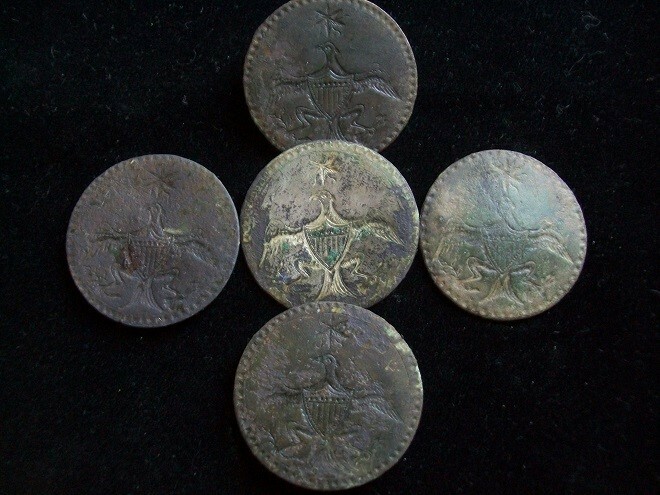 A hoard of coins minted during Henry VIII’s reign and found by a metal detector enthusiast in a Norfolk field may have been buried to keep it safe during Kett’s Rebellion in 1549. The 14 silver groats, found in a field in Wymondham, were pronounced treasure by coroner William Armstrong in Norwich. Kett’s Rebellion during the reign of King Edward VI started in Wymondham. The hoard was found in April 2011 by Steven Clarkson and Mark Turner. Objects which could qualify as treasure must be reported to the coroner under the 1996 Treasure Act . Dr Adrian Marsden, of the British Museum, said in a report to the coroner it is “quite likely they (the coins) were hidden during the Kett uprising in July and August 1549”. 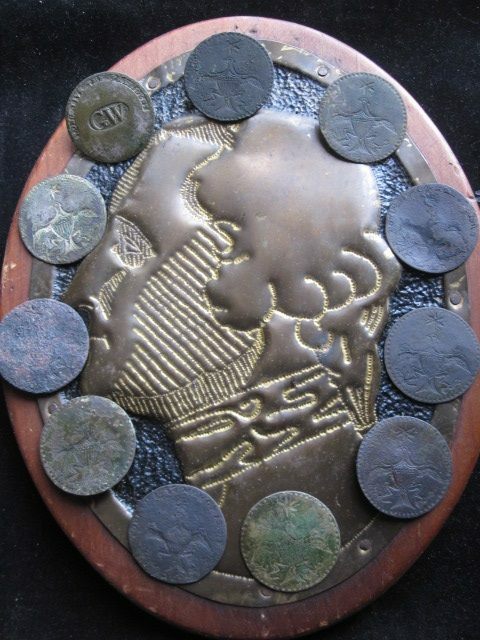 He said the coins “probably represent a small proportion of the hoard originally concealed”. A valuation committee will decide on the value and compensation to be paid to the finder and landowner. The rebellion started in Wymondham after a small group of peasants got together to protest against rich robber barons who had stolen the common land, leaving the peasants to starve. Led by Robert Kett, the peasants marched 10 miles into Norwich and gathered on Mousehold Heath, attracting the support of the poorer people of Norwich. Some 15,000 rebels eventually gathered and their battles against government forces on the streets of Norwich led to a national crisis. They were finally defeated by an army of 13,000 men commanded by the Earl of Warwick. Hundreds of peasants were killed and 300 were captured and executed in the city. Kett himself was imprisoned and later hanged from the battlements of Norwich Castle. The medieval seal matrix is thought to date back to the 1300s. A 14th century Bishop’s seal discovered by metal detector enthusiasts will go on display at the Manx Museum for the first time on Saturday. The silver seal, which was discovered by Andy Falconer, is described by historians at Manx National Heritage (MNH) as “incredibly significant”. The find was made in a field in the north of the island. 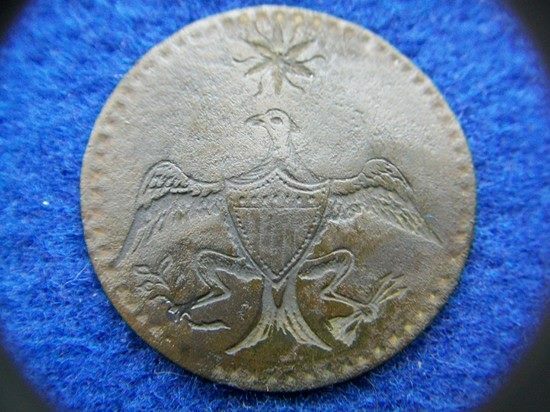 A ndy Falconer made the “once in a life time discovery” when out searching with fellow treasure hunter Rob Farrer. 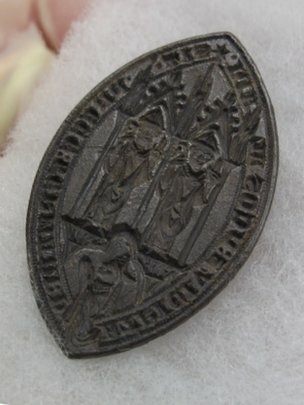 The seal itself is about three centimetres in length, made of silver, and shows two figures sitting facing out and a third kneeling in prayer. Around the edge there is an inscription in Latin, which translates as “Let the prayers to God of Germanus and Patricius help us”. Ms Fox said: “Saints were very important people for the whole island. “The Isle of Man has lots of artefacts from the Viking period and a few hundred years after but a find from this period is rare. Leicestershire treasure hunter in expedition to unearth £100 million fortune…..
A treasure hunter is putting the finishing touches to an expedition to unearth a £100million-plus fortune. Mike Munroe, from Melton, has spent more than a decade pawing over battered maps and documents to pinpoint the legendary Treasure of Lima. Now he believes he has found the “X” marking the desert island spot where the wealth of gold, silver and jewellery was hidden 190 years ago off the coast of Costa Rica. Funding an expedition to Latin America was always going to be a problem, but Mike has now won support from another amateur treasure hunter called Shaun Whitehead. Shaun, from Grimston, in the Vale of Belvoir, shares Mike’s dreams and has previously won “armchair treasure hunts” – where people follow clues from the comfort of their own homes – including locating a £40,000 gold casket in a national competition. He might even join Mike on the trip this November. Mike said: “The treasure was valued at £100 million in 1930 and if it is found the Costa Rican government will get a third share. Another third share goes to the Lima government – as the treasure was stolen – and the other third goes to the salver. The treasure was shipped out of the Peruvian capital of Lima during the last days of Spanish control in 1823. The original inventory showed 113 gold religious statues, 200 chests of jewels, 250 swords with jeweled hilts, 150 chalices and hundreds of gold and silver bars. The Spanish loaded the treasure onto the Mary Dear, under the command of Captain William Thompson, and sent it off to the relative safety of Mexico. A bishop and several others boarded along with it but Thompson turned pirate and killed them all. He then sailed to Cocos Island, 350 miles off Costa Rica, where he stashed the haul. Numerous expeditions have failed to uncover it but Mike believes he knows the whereabouts. The 54-year-old, who sells his own paintings on Melton market, wants to search 10 sites and has even studied sand and soil conditions. He said: “We have been given special permission to look for it. “The official line from the London embassy is ‘no more treasure hunts’, but this one doesn’t involve digging great big holes. “I will use a special metal detecting mat, like a nylon mesh, which gives a three dimensional scan of the ground. Sponsor Shaun got to know Mike after buying his paintings and was impressed by his research and his permit to explore the island. Shaun owns a company called Scoutek, which supplies technology such as robots and probes for explorations, and he has agreed to provide equipment as well as £2,500 towards Mike’s costs.